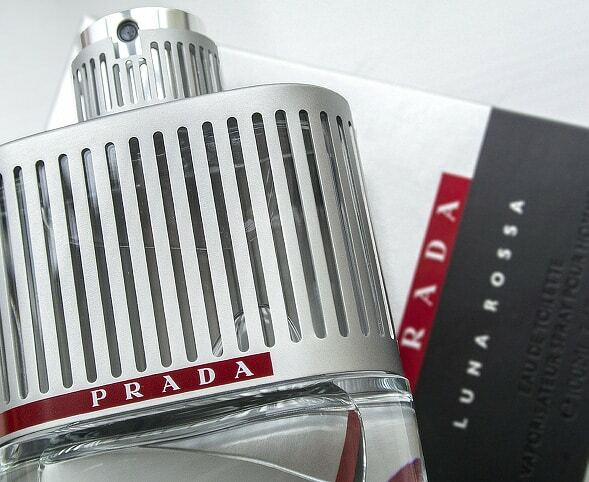 Created by Givaudan’s Daniela Andrier, Luna Rossa (Red Moon) is the brand new men’s fragrance from Prada, named after their boat and racing team competing in the America’s cup. 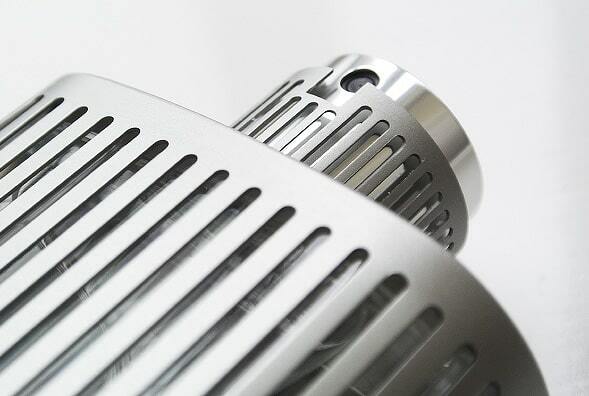 With inspiration drawn from the technological intricacies of the sail boat, the bottle has been designed with strong thick glass, housed inside a rugged yet smoothly brushed, metal frame. The notes are just delicious, with bitter orange, lavender, musk mallow, mint, clary sage and ISO E Super. If you’re not familiar with ISO E Super, it’s a trademarked synthesised fragrance that its creators define as a “Smooth, woody, amber with unique aspects giving a velvet like sensation. Used to impart fullness and subtle strength to fragrances.” – Yum! The fragrance starts with a burst of almost metallic lavender and mint – clean, cold and crisp. Immediately it starts to settle, the top notes are reinforced with the sharpness of bitter orange, adding an ever so slightly sweeter dimension. Then as it wears, the sultry warmth of the musk and ISO E allow it to become quite velvety and rich. 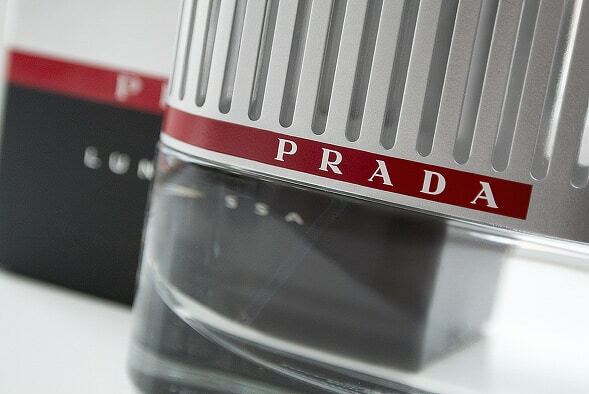 There’s something almost soapy about it, rendering this fragrance as very classically Prada. I think this is gorgeous for the day, and as the winter weather starts to fall upon us and we welcome in crisp and freezing mornings, when it’s so cold you can see your breath, this scent will leave you feeling as confidently strong and ice-steel on the inside, as you feel outside.Perfect to wear over a dark, clean-cut, winter jacket with a thick, billowing scarf. Once you’re indoors and your icy exterior starts to melt away, and as you regain the feeling in your fingers, you’ll be comforted by the warmth of the softer and woodier notes. A perfect winter fragrance, making even the coolest cucumber totally huggable. Hopefully you’ll find this fragrance as irresistible as I have and if you’re after it, it’s only been about a few weeks, but the best price I found it was here at John Lewis. There’s also a shower gel, deodorant and after shave lotion. I’m thinking Christmas presents? This article first appeared on MANFACE written by Thom Watson. It was published on Thursday 27th September 2012 and was last updated on Monday 3rd April 2017 at 4:09pm. It's categorised under Citrus Fragrance, Fragrance where you'll find more related content. I love the concept for your product and the scent is ridiculous!! Thanks for a great cologne..
Obrigado Fabio! I’m so glad you enjoy the website. It’d be great to see yours, could you post me a link? I still haven’t worked in the beauty industry so my views and the blog altogether may not be that interesting. I admit I’m having a good time with it, though. Hi! This is Fabio, from Brazil. Found your blog a couple of days ago and absolutely I love it! I have a very similar one in Portuguese, though it was created only 6 months ago. Just wanted to say you do a great job, it’s such an inspiration for people like me that are just beginning. This is just the first time I leave a comment here, but I’ll do my best to come here often. Take care.